Our runners take part in events from 3 miles to marathons (some even longer!) and everything in between. The Club Championships includes road events in short (Parkrun / 5km), medium (5 mile / 10km) and long distance (10 mile, half distance and marathon) categories. We take part in London's Assembly League for summer multi trail and road races (Beckenham Place Park, Victoria Park, Battersea Park and Tottenham Marshes). We also take part in various road relays organised by Southern England Athletics Association and if successful the national relays across various age groups from Senior Men and Senior Women to V35, V40/45, V50/55, V60/65, and V70+. The club was originally set up by a small group of local runners who decided it would be a good idea to sign up for the first London Marathon following a beer in the Clock House Pub in Dulwich, and so starting a tradition that has remained ever since! The London Marathon is an important goal for many of our runners and runners can select any marathon to be their nominated entry into the club championships. Each year we receive two places for the London Marathon that we allocate to deserving members of the Club. This complements those who have achieved 'good for age' places, or been lucky enough through the main ballot. As it can be difficult to get a place, runners from the Club also take part in events such as Brighton (Sunday 14 April 2019) where our runners have an opportunity to buy an affiliated club place even if the main entry is sold out. Following these races we celebrate all the hard work with some well earned drinks and pizza at our post-marathon social event. 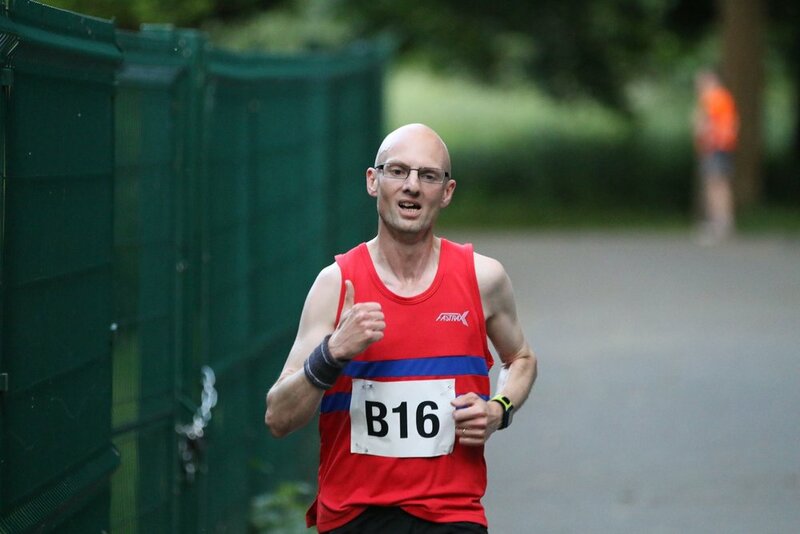 Our Club Championships also includes a half marathon race distance, either for those using the distance to prepare for the marathon or simply have this as a worthwhile goal in its own right. Our half marathon for 2018 was again the fast and flat Paddock Wood Half Marathon, with an opportunity for Brighton Marathon Runners to select an alternative prior to Paddock Wood for their club championships race. In 2019 we have chosen the Big Half Marathon on 10 March 2019 as the Club Championships race given the great feedback from those who attended in 2018 and its close proximity. Our Club Championship races include conveniently located shorter distance races in and around Greater London, Surrey and Kent. Typical distances include 5 km, 5 mile and 10 km. The races chosen vary each year to keep things interesting and take into account feedback. These are selected by our Athletics Development Sub-Committee which includes our coaches and team captains. We enter various relay races with teams in all age categories for men and women. These include regional races organised by the South of England Athletics Association of between 3 miles and 5 miles (with between 4 and 12 stages). Our Men’s V60 won the bronze medal at the 4x 5.25km event and our Women’s V40 'A' team came 4th at the September 2017 event at Crystal Palace. And in November many of our runners take part in an inter club Algarve Challenge in Portugal where 4 races and a spot of sightseeing, cycling and swimming help prolong autumn for another week at least! The Assembly League is a long-running institution, with local clubs organising free (except Battersea Park) inter club races in leafy parks on the first Thursday evening of each month between April and the end of August. Parkrun is a great asset to the local community and many of our runners have been taking part in these events both running and volunteering since they first started in the late 2000s and early 2010s. In December 2017 we helped provide pacers at Brockwell Park's anniversary and we helped provide the main bulk of volunteers at the same event on 7th April 2018. Each year two of our Club Championship events take place at a suitable Parkrun course, with our 2018 events at Dulwich Park and Beckenham Place Park in February and September respectively. Some of our runners have even joined us after honing their skills on the Peckham Rye, Crystal Palace Park, Dulwich Park or Brockwell Park circuits, and looked to try their luck at longer distance events. Our weekly newsletter provides a compendium of Dulwich Runners' Parkrun results wherever you decided to run!